Let’s open our imagination for a moment and picture how we might relate to a place through a dream we share with the people who live there. Let’s imagine real images to show the world what really moves us—though we create them together through fictitious situations. Let’s truly participate in the reality of our place through the imaginary frameworks of art projects. And through these frameworks, let’s propose real encounters that have the power to redefine the meaning and purpose of art and its institutions. While we are dreaming, let us also re-imagine the ethics of current modes of artistic production in order to understand its relationship to people and/or places that are not on the contemporary art “map.” Let’s propose something new to the art world’s systems of inclusion and exclusion. Let’s also reconsider aesthetics, because, in the real world, your view of what’s beautiful may not be the same as mine, or someone else’s. Let’s open up the possibilities of the discourses of beauty and art to alternative, hybrid forms of expression and diverse cultural circuits. And let’s storm the institutions with our new collective power to imagine that art can have a real purpose and also a new, expanded territory. Vélez’s (1965, Panama) multi-faceted participatory performance practice actively explores the generative possibilities of working in collaboration with different groups of people who are brought together especially for each project and location. In places across the world, he has collaborated with boxers, hip-hop musicians, Indigenous peoples, refugees, asylum seekers, synchronized swimmers, spoken word artists, marching bands, body-builders, amongst many others. Over the past decade, these collaborations have resulted in orchestrated, large-scale performative actions as diverse as beauty contests with llamas, amateur boxing matches with youth, concerts with popular poets, and bodybuilding competitions transcending divisions of gender and class. Collaboration is not an end in itself for Vélez, however. It is an operative strategy integral to questioning the purpose and function of art and aesthetics today—by opening them up to diverse cultural input as well as to non-artists. Vélez’s projects develop what he calls the collaborators’ “capacity to produce aesthetics.” They propose— through an extended period of development and final performance—different concepts of culture, power, and ethics that counter mainstream institutions. Indeed, these collaborative performances are forms of resistance to the status quo and to Western concepts of what art should be. They re-picture the world by imagining new associations and forms of belonging, often for those that do not “belong” within society’s norms—or within the contemporary art world. 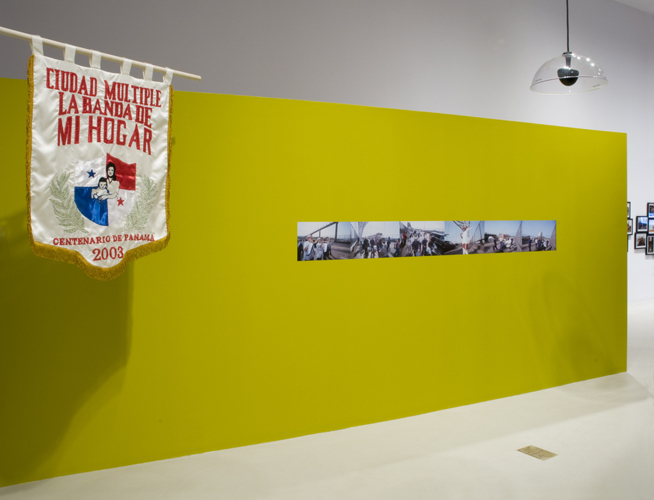 The performances appropriate other “social” forms of organization such as parades, sports, or regattas, and script them otherwise (as stories of migration, identity, race, and class), in order then to reinsert them into the exclusionary symbolic institutions of art museums or other public spaces. Vélez doesn’t show us something different; he opens our eyes to why we keep seeing things the same way. Could there be another function for art today than we commonly think? Vélez’s work questions the ethics around collaboration (how we work together) and participation (who gets to participate and why) by making both integral to the process of art making. He makes them the subject not the style of a way of working, believing that the ethical issue of collaboration is not to represent politics but to be a form of it. His work proposes a new aesthetic, formed through collaboration with people outside the art frame. As such, his collaborative performances differ from many current participatory practices in Europe and the United States in that they are based on human relations, not institutional interests. His are not top-down “community art” projects. They do, however, have a pedagogical imperative: they are intended to transform the structures the artist lives and works in, not the people he collaborates with. Never a performer in his own work, neither is Vélez the subject of his performances. Rather, he’s a catalyst for other people’s stories and ideas, playing a role more akin to a conductor of an orchestra or a director of a film. He has learned from his early experiences as a lawyer (working for unions and campesinos in the rural provinces of Panama) and then through his documentary film studies at the Escuela Internacional de Cine y TV San Antonio de los Baños in Havana, Cuba. He knows through experience what it means to bring real influences into the art world, not just theory. Could there be another role for artists today than we commonly think? 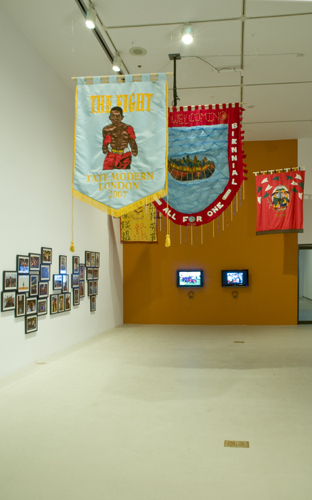 Here are a few examples of Vélez’s projects that permit multiple, and sometimes seemingly contradictory, points of view, popular traditions, and cultural contexts to coincide, in the process creating new aesthetic traditions that infiltrate the social fabric of our culture and seep into our art institutions. 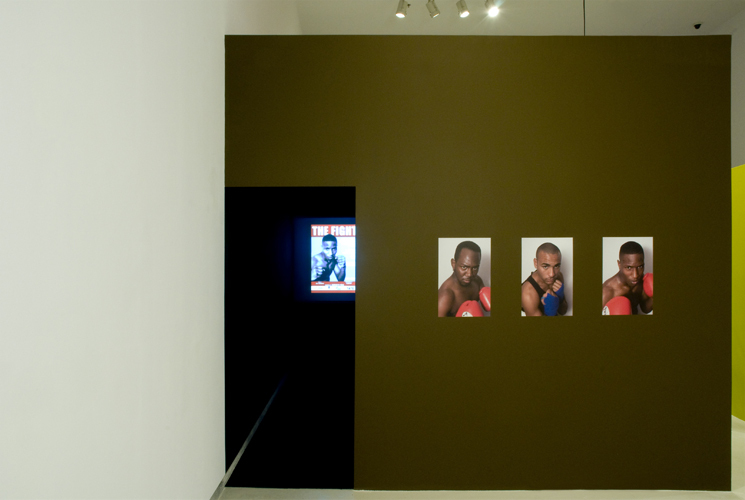 At the Tate Modern, London, in a performance called The Fight (2007), Humberto brought together amateur boxers from boxing clubs located in the surrounding South London neighbourhood, paraded them to the Tate accompanied by musicians, to fight exhibition matches inside the Turbine Hall interspersed with fight-themed hip-hop music and dance performances. 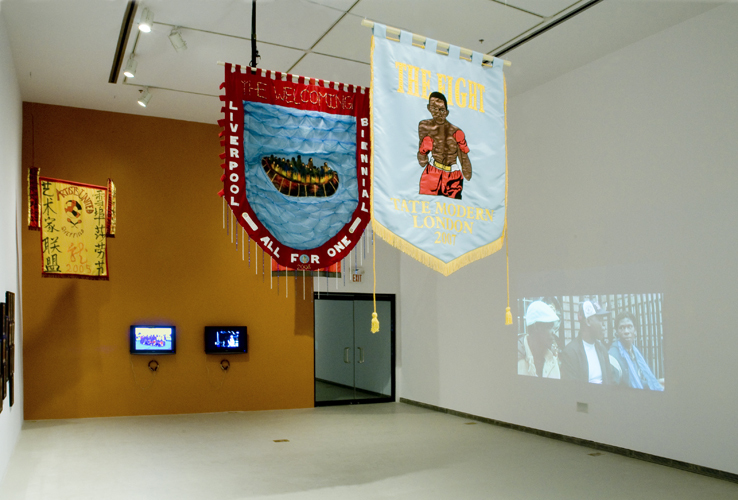 The Fight profiled local individuals and activities not considered worthy of this world-renowned cultural space, while also re-connecting the boxing clubs to their historical association with worker unions of South London’s past. For the Pompidou Centre, Paris, in a performance called Le Plongeon (2010), Humberto worked “off-site” with synchronized swimmers, water polo players, and dancers to create an “aquatic cabaret” hovering in the Seine in the Piscine Josephine Baker. Le Plongeon also featured a present day “chorus” of spoken word poets, who spoke about the disenfranchisement of suburban youth from the ideals of Liberté, Égalité, and Fraternité. Through its location, the performance also celebrated Baker’s contribution to the cultural fabric of Paris’ past. 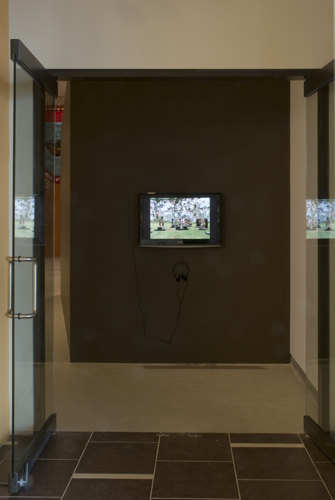 Happening in the streets, Vélez’s performances do not generally lend themselves to the conventional gallery setting. Yet, in Humberto Vélez: Aesthetics of Collaboration, the AGYU has brought together the first exhibition of the artist’s performance works from the last decade. Reflecting the radical nature of his work, the exhibition is intended to provoke as much as the works themselves. To view a collection of Vélez’s past work is to look at an alternative mapping of the world’s cities told through the dreams, aspirations, and new forms of belonging forged by people living there. Thus, the exhibition tells the stories of places as diverse as London and Valparaíso, Paris and Cuenca, Panama City and Liverpool, Manchester and Toronto. 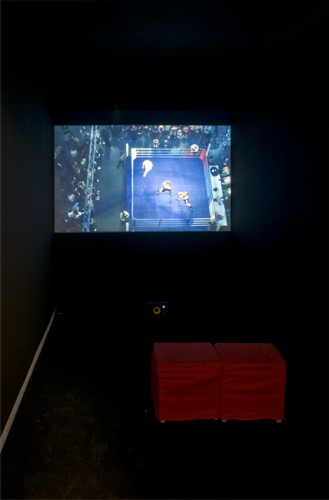 In the exhibition, each of these stories takes shape through different forms of media documentation. 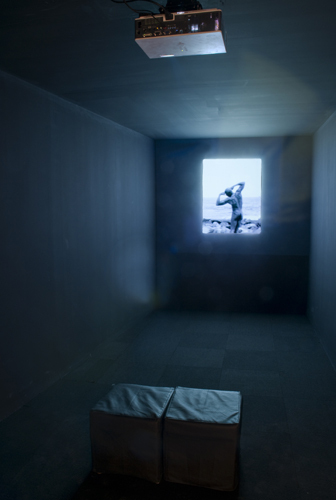 Original performance documentation, which has been re-edited into mini-films that unfold cinematically, narrates the “action” of the performance itself. For each performance, iconic moments are represented in photographs, accompanied moreover by portraits of individual performers. 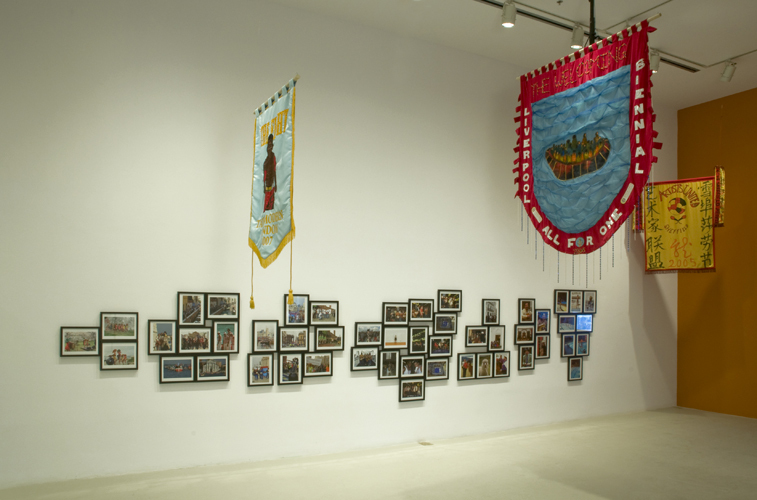 Videos and photographs are framed by artifacts, such as banners created for some of the performances, showing the pride and work that each performance elicited from its participants. All together, they are testaments of the new aesthetic possibilities manifested as the result of performative actions. Photographs of the procession of Irish bag-pipers, African drummers, young refugees, and asylum seekers marching together through the streets of Liverpool (The Welcoming, 2006), or the Indigenous peoples of the surrounding area of Cuenca, Ecuador, proudly entering the front doors of the official museum alongside their llamas and alpacas (La Mas Bella, 2009), “picture” a new reality for the places participants are from. At the AGYU, we understand that Vélez is more interested to see how art changes the institution than how the institution changes artworks. He knows that the history of institutions has been to “absorb” new forms of practice while discounting their politics. For Vélez, this is not “progress,” it is just moving things along. Vélez, however, is willing to play the institution’s game in order to move things along, knowing that these performances have real effects on the institutions that commission them. 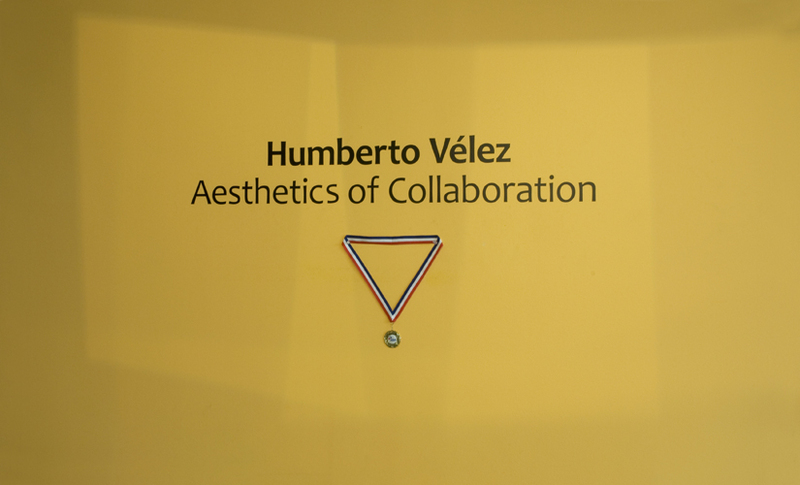 Velez’s exhibition is a way to bring Humberto’s work inside the agyu with the knowledge that it will change the nature of our institutional practice. By changing the “rules of the game,” we can govern the way we participate in the world. Art empowers. Sometimes it has a real use. It can make you feel better about yourself—and isn’t that the meaning of art, really? Sometimes we forget what the meaning of art is. It’s not the academic meaning, it’s what it means to people, no? It’s to make you feel better, or more intelligent, or understand things, or give you a position in life, all that. My work is a way for me to communicate this, to connect art to the real, that is, having it mean something to other people, not only to the artist but to the people outside the art world.